Justin Solondz was released from prison in January 2017. Justin Solondz wurde im Juli 2011 zu 7 Jahren Gefängnis verurteilt. In early 2009, Justin Solondz was arrested in China on local charges, more than three years after he was indicted on arson and conspiracy charges related to actions in the U.S. claimed by the ELF/ALF. In July 2011, Justin was taken into federal custody upon his expulsion from China, after completing a prison sentence. In March 2012, Justin was sentenced to seven years in prison. 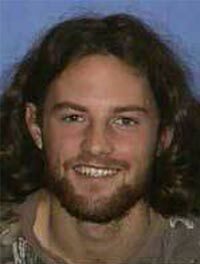 Update: After being extradited from China and convicted of Earth Liberation Front actions in the United States, Green Scare target Justin Solondz has been transferred to a prison in western Pennsylvania. This puts him much closer to his parents than when he was imprisoned at FDC SeaTac. Please let Justin know you’re thinking about him by sending a card or letter. Charges: In early 2009, Justin Solondz was arrested in China on local charges, more than three years after he was indicted on arson and conspiracy charges related to actions in the U.S. claimed by the ELF/ALF. In July 2011, Justin was taken into federal custody upon his expulsion from China, after completing a prison sentence. In March 2012, Justin was sentenced to seven years in prison.